OSSA’S Short Track Rising Star this year is a Cobra!! At this year’s Ontario Speed Skating Association Annual General Meeting, one of our very own Cobras was named the 2016 Short Track Rising Star! 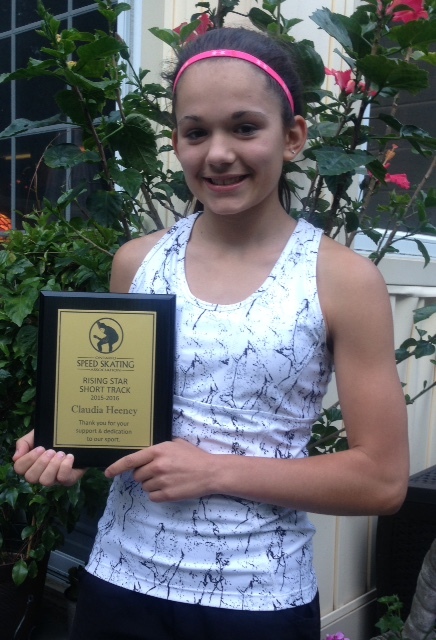 Congratulations to Claudia Heeney for this amazing and distinguished achievement. Your Cobra family is so proud of you!